Isn't he adorable!! This morning I decided to wait for my film to be developed....I'll just browse through Barnes and Noble with a coffee. Well, which section do you think I end up in? Of course, knitting books! 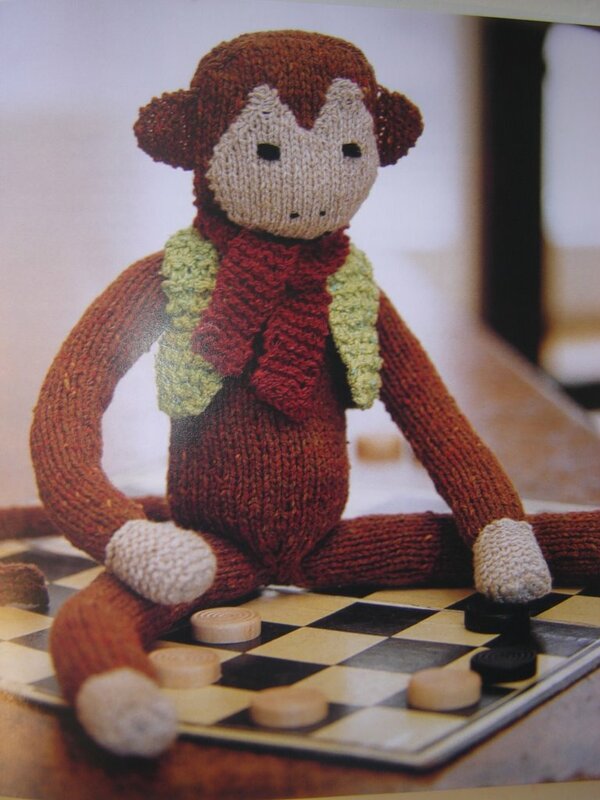 Just sipping away, I stumble across the CUTEST book of hand knit animals. Low and behold there is a monkey in it. Well my daughter has a Birthday coming up. When? you might say? Friday November 3rd! Hmmmmm...... Yes it is worth a try! These are the kind of compulsive behaviors that drive my mother crazy.............Off to knit!!!!!! Oh my goodness....Your blog is GREAT. It is now in my favorites. They are right your family is sooo proud of you. Guess who?? ?